Cowboy images and animations. Section includes animated cowboys, bull riding, gunfighters, cowboy clipart, cartoons, dancing cowboys, cowgirls, happy cowboys, working cowboys plus wild and crazy cowboys. Animated cowboy showing his dance moves. Gunfighter with a quick draw. 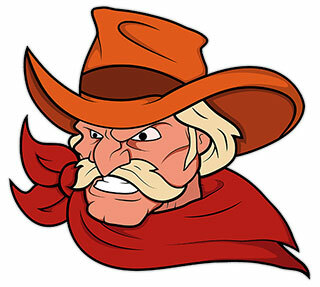 Clip art image of the face of a rugged cowboy. Betty Boop with a lasso and a little glitter. A cowgirl doing a little calf roping. 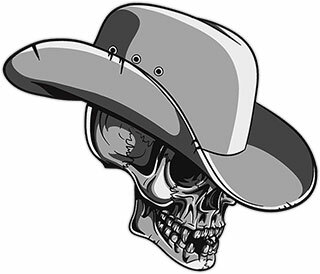 Clip art image of a skull wearing a cowboy hat. Animated cowboy happy to see you. A cowboy resting against a fence. Cowboy showing off his talents with six shooters animation. Pony Express rider in a hurry. A cowboy chewing on a toothpick. Either a careful gunfighter or a crazy one? A pretty cowgirl using a lasso. A very happy and excited cowboy. Maybe he found a penny. Cowboy hard at work mending his fence. Not the best gunfighter in the west. Cowboy having fun - western style.